Volvo Car Corporation revealed news at the company's press conference at the 2012 Paris Motor Show on Thursday: the first batch of the groundbreaking Volvo V60 Plug-in Hybrid is sold out before the car has reached the showrooms - and the order books for next year's cars are already filling up. Volvo also announced that the rapid renewal of the model lineup is continuing next year. "2013 will be one of the most intense years in the company's history. Including the all-new V40 versions in 2012, we are renewing more or less our whole model range in less than two years," said Doug Speck, Senior Vice President, Marketing, Sales and Customer Service at Volvo Car Corporation. The V60 Plug-in Hybrid, the world's first diesel plug-in hybrid, is another important part of Volvo Car Corporation's rapid transformation - and Doug Speck is not surprised by the keen customer interest in the ingenious model. "None of our competitors can offer customers an equally ingenious car. Its uncompromising attitude to green motoring elevates hybrid technology to an entirely new level," he said. 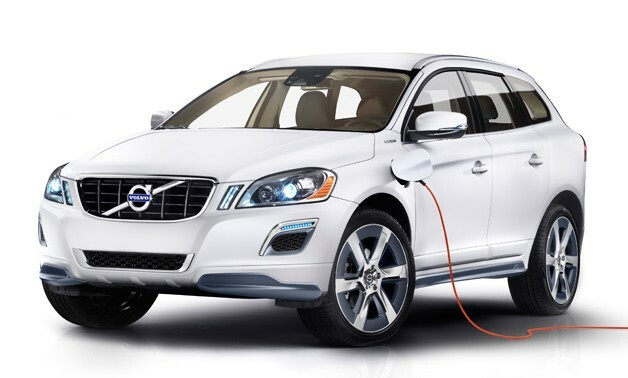 The first 1,000 units of the Volvo V60 Plug-in Hybrid are only available in a "Pure Limited" edition with Electric Silver livery. The diesel-electric car is also distinguished by aero-designed 17-inch wheels, integrated exhaust tailpipes and a number of bodywork features in glossy black. After this initial batch of 1,000 cars for model year 2013, production of the V60 Plug-in Hybrid will increase to 5,000 cars as of model year 2014. Three cars in one The driver of the V60 Plug-in Hybrid is putting an end to compromise via three driving mode buttons on the dashboard: Pure, Hybrid and Power. Fuel consumption is just 1.8 l/100 km (48 g CO2 /km) in Hybrid mode. In addition, the driver can choose to cover up to 50 kilometres on electric power with zero emissions - or release the combined capacity of the diesel engine and electric motor to create a driving machine with 215+70 horsepower, 440+200 Nm of torque and acceleration from 0-100 km/h in 6.1 seconds. A new, graphic interactive dashboard with personalised layout and information enhances the intuitive and uncomplicated driver experience. "This human-centric approach is what our Designed Around You philosophy is all about. We have listened carefully to our customers and created a unique, human-centric car that combines pure driving pleasure with outstanding environmental responsibility," said Doug Speck.